With leaves in full bloom, green grass, and your home fresh and clean, the warmer seasons are a natural time to want to list your home on the market to sell. Of course, the popular seasons are popular for a reason, with other factors such as holidays, school schedules, and adverse weather conditions to consider during the winter. I am here to remind you that although these are reasonable factors, the real estate market never stops. There will always be people buying homes; whether it’s switching jobs, personal life events or they’re just sitting and waiting for the perfect home to come along—it’s important to have your home ready for them. 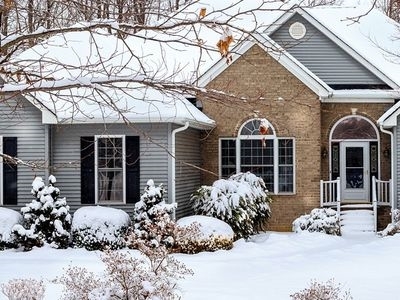 According to a study by Redfin, houses listed in the winter are more likely to sell within six months than those whose owners waited until Spring. Mortgage rates also typically increase in the Spring, and so winter is truly the best way for both parties to save. Below are some key factors in making the decision to list your home in the winter, and what is necessary to ensure a successful sale. Low inventory: According to the National Association of Realtors, in December of 2015, total U.S. housing inventory at the end of December dropped 12.3 percent. Unsold homes were at their lowest since January of 2005. (NAR, 2016) Through this year, we have continued to see the consistent pace of home inventory levels in our Omaha area. With low inventory levels, your home will be sure to stand out even with the pickiest of buyers. That is because they don’t have a whole lot of room to be precise. Chances are, they will come to the showing motivated and ready to get in their new home. Low inventory can equal a higher selling price. If selling your home for the right price is your most important factor in selling, timing is the key here. I will help guide you on finding that right price based upon your home and current market conditions. Prepping A Winter Listing: While the payout of a winter home sale can be sweet, there is some prep work involved. Maintenance: Ensure your heating and fireplace are serviced, gutters cleaned, and windows weather-stripped. It is important as well to ensure all walkways, paths, and stairs leading to the home are cleared of snow and ice. Clear Clutter: While setting up the entire Santa’s Village collectible set may be tradition, with selling your home around the holidays, it is important to steer clear of too much clutter. Christmas décor can be bulky and make the room smaller. Your safe bet is to stick with light seasonal touches and leave the rest to the buyers’ imagination. Add Finishing Touches: Landscaping doesn’t have to be non-existent in the winter time. Adding winter-loving plants to the stoop or adding warm pathway lights can help create a sense of home for any buyer. With the above factors considered, winter can be one of the most rewarding times to list your home. Please contact me today to assist you in making the decision and finding the timing for you and your family. ©Copyright. December 2016. Megan Owens. All Rights Reserved. Image via Google Images.